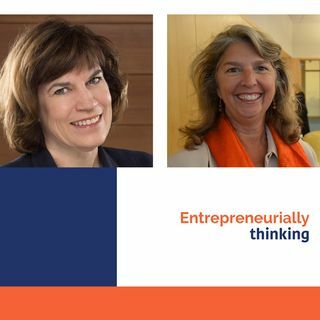 Joining us today are Maria Meyers and Kate Pope Hodel of Sourcelink, a program of the University of Missouri- Innovation Center with a single mission: to make entrepreneurship easier. Maria is Founder Executive Director. Kate is with Special Projects. Together they run the network that builds entrepreneurial communities and stacks the cards in your favor! resources to each other and to a national network of best practices to help communities create jobs, accelerate business and strengthen local economies. - How Maria became known as “the queen of entrepreneurship” throughout the Midwest. - The origins of SourceLink. - The biggest challenges for business owners. - How Sourcelink establishes the ecosystems and networks. - Kate is a master of data. What stories do the numbers tell. - How an entrepreneur should find and use data. - What sources and kinds of data are best indicators. - How Sourcelink creates a pathway for success with clients. - What Kate learned from the best in the field and thought leaders. - What we can learn from the “on-the-ground implementers”. - Kate's advice for businesses owners to step outside of their comfort zone.